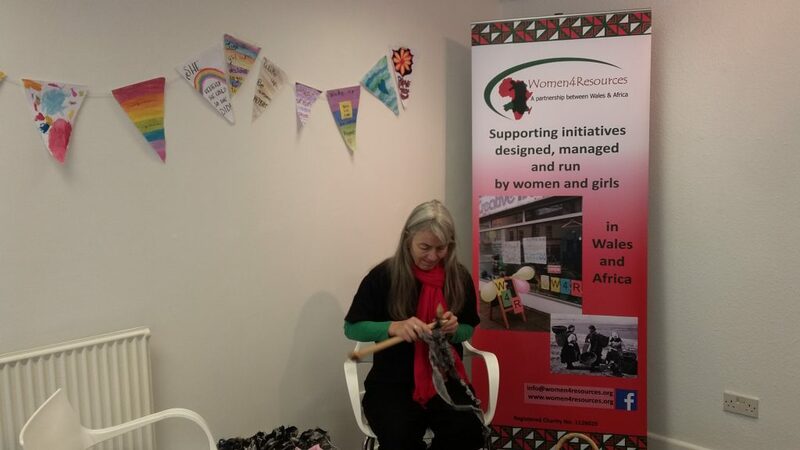 Women4Resources seems to be the perfect way to experience an open, friendly and colourful Swansea. To strengthen the rights of women and support individuals in all different stages of life was always an important matter to me; growing up in the 21st century means being confronted on social media with all the issues around women’s rights. Women4resources offered me the opportunity to work as a volunteer at some interesting projects set up to help to improve this situation. 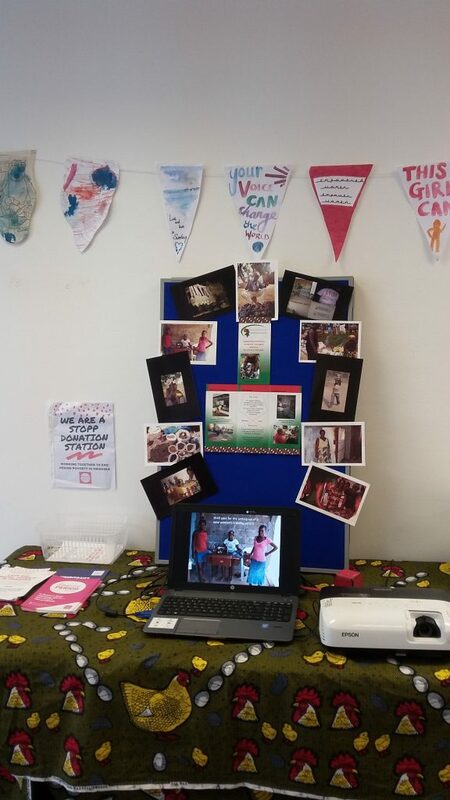 The recent event for International Women’s Day and a wellbeing day the weekend before, gave me a good first impression of the idea behind Women4resources. Analyzing the evaluation forms showed me that women from different areas of Swansea really enjoyed the open and relaxing events. People had the chance to dance, paint, craft, eat and much more. The new film about the work of Women4resources and a slide show of pictures from previous projects was especially appreciated. Learning to make reuseable sanitary pads with Deana from Friends of Monze and our newly donated sewing machine! Besides helping in the women4resourcess office in the Environment Centre, I have also been able to visit some other amazing places in Swansea. 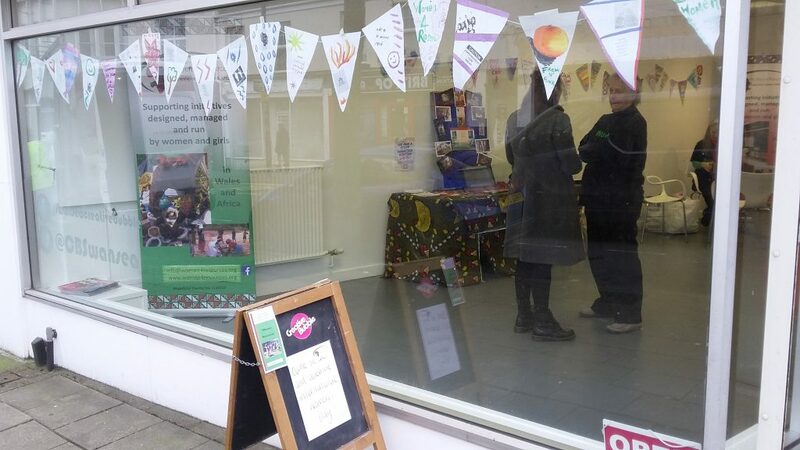 For example learning juggling with the team from Circus Eruption borrowing some books from the huge library and hearing about tackling period poverty with STOPP in Swansea. 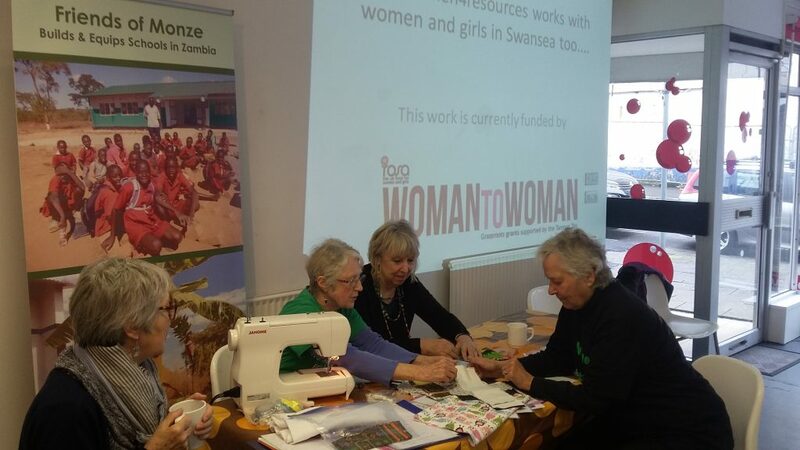 In all these projects I found friendly, open and dedicated people who showed me their Swansea. I am thankful for all the nice impressions I already had and looking forward to have even more in the next five weeks.